With more than 200 million active user and 1.6 billion daily photo likes, Instagram has quickly become a favorite social hub for adults. But what makes it such a unique social media marketing platform? As a visual based social platform, Instagram allows brands to showcase products in a creative way, establish visual brand identity and create interactive #hashtag campaigns, which can help you engage with young audience. A recent study shows that Instagram's engagement rate is 4.21% higher, that is nearly 60X greater than Facebook (0.07%) and 120X greater than Twitter (0.03%). With such high engagement rates, Instagram is the perfect place to encourage a deeper relationship with your consumers and create a loyal community! But diving into Instagram can be a bit intimidating, especially when, if you are new to social networking sphere. 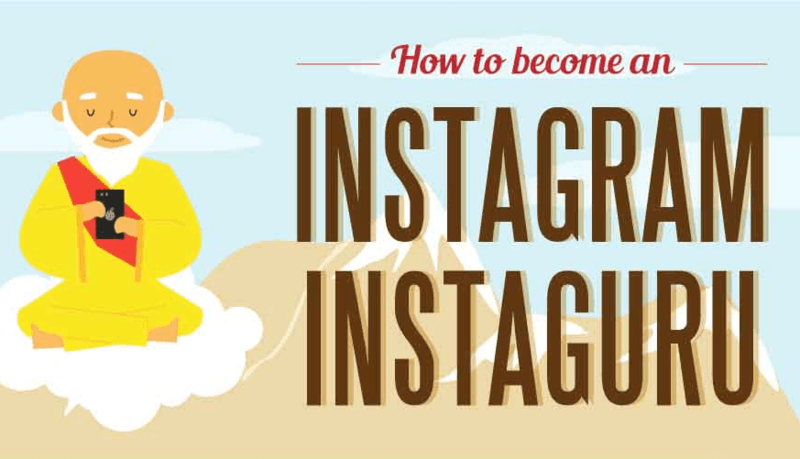 To show you how to find your following and how to enrich and engage your Instagram community, the folks at tollfreeforwarding have created a terrific infographic that breaks down the steps you need to take to achieve these goals. Decide on a visual theme, you'll use to represent your brand. Make sure your photos will provide value to your followers. Use your products to tell a story that will be of interest to your audience. Use high resolution photos and third-party editing apps to enhance your photos. Use a mix of Instagram filters and no filters. Product images should feature the product in 2/3rds of the picture. Utilize Instagram video for more creative storytelling. The best days to post are Sunday, Monday and Thursday. The average number of hashtags for most engagemnt is 11 hashtags. Use a mix of brand specific hashtags, industry specific and trending hashtags. One of the best features of Instagram is that it's connected to Facebook, which makes sharing across multiple platforms easy. Share your photos across every social platform (like Pinterest and GooglePlus). If your Instagram focus is on product photos, embed your profile stream on your website or blog for maximum exposure. Use/search hashtags to find relevant users in your niche. Follow influencers, engagers, and other brands to extend your reach. Make sure you have 5 - 10 images in your Instagram stream before your begin following people. Engage to your hearts' content! Like and comment popular photos. Mention both creator and other commenters! Follow the 5/3/1 rule to find engage and gain new followers!